So the fire has been put out, fire damage put under contol, now what are we left with? You are left with a whole lot of soot, ash and smoke damage. If any of these three elements are not dealt with successfully, then the residue will continue to keep the property smelling like smoke. Specialized restoration cleaning products, HEPA filters and HEPA vacuums, are all keys to a successful remediation campaign. We assure that this is best left to the professionals; simply wiping down the furniture, counters and walls is not adequate and you will likely make the situation worse and still calling us in the end. Odor has a special way of digging into porous and fibrous materials like counter tops, carpets, linoleum, clothes, furniture, etc. Depending on the scope of the damage and the origin of the soot and/or odor, the restoration technician will need to develop a customized solution in an effort to ensure optimal efficiency and effectiveness. Large-scale fire damage requires completely different techniques. For example, a residential home fire that displays scorched walls and ceilings may have compromised structural components. In a case such as this, we collaborate with licensed specialty contractors to demolish affected areas and subsequently rebuild the structural components and drywall. This is often the most effective strategy because it not only takes care of the damage from the fire but also from the water used to extinguish the fire. 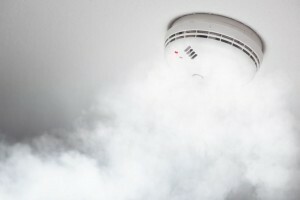 Fires often damage HVAC systems. In our experience, if the units were in the general area they may need to be replaced. However, the units are typically not the major challenge; alternatively, it is the ductwork itself. So the material concern is not whether the units work, it is the impact and severity of the embedded odors present throughout the ducting system. We maintain the ability and experience required to micro clean and restore the entire system. Can you imagine a scenario where a cut rate cleaning/restoration company signed off that all necessary remediation activities have been completed, but that spring when the air conditioning suddenly clicks, the entire facility is once again inundated with soot and ash that’s spewing out of the overhead vents? KIC Restoration will ensure that does not happen. Get all your questions about fire damage restoration answered beforehand and call in an experienced and reliable professional.